LAS VEGAS, NV, January 9, 2017 /24-7PressRelease/—Be Something Wonderful celebrates its first-year anniversary by showcasing the inspiring “What is Your Be Something Wonderful?” and empowering “The Message” videos. Launched in January 2016, Be Something Wonderful is poised to take the business and life coaching and consulting world by storm with its unique approach and powerful message. “We are thrilled about what the future holds for Be Something Wonderful and look forward to an amazing 2017,” glowed Tom Kearin, Founder and CEO. For the Founder and CEO’s full message visit https://youtu.be/v0jbkO1mWUc. 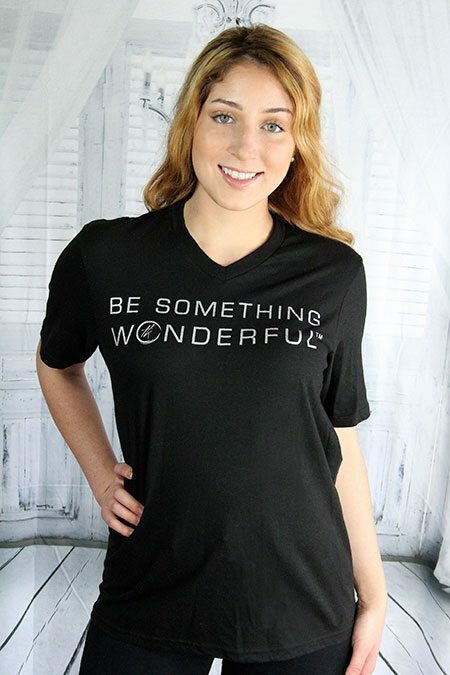 Be Something Wonderful capped off 2016 by launching an initial line of cool and fun products displaying its proprietary message with The Shop at Be Something Wonderful (http://besomethingwonderful.com/shop). The exclusive Be Something Wonderful branded product line includes fashionable, black, fitted, V-neck T-shirts, stylish cobalt blue and black mugs, and beautifully engraved pens in elegant gift boxes. In addition, Be Something Wonderful debuted the uplifting and stirring video “What is Your Be Something Wonderful?” at https://youtu.be/M8Vc8hHKs_U. Be Something Wonderful is developing a fresh, new approach to life coaching and consulting that blends business and spirituality, creating a platform for transformative training that lifts, inspires, and motivates you to be the best version of yourself in business as well as in life.